I have been my own worst enemy when it comes to hospitality. 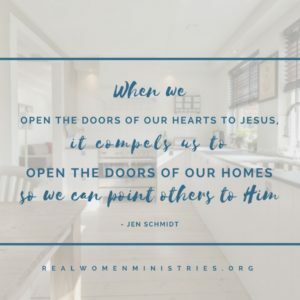 For the longest time I wanted to open my home to other women so they could (hopefully) find a few moments of peace from the busy, over-packed schedules of their lives. I wanted them to know they had a place – a safe place – to laugh, cry, and talk about the nitty-gritty of life. And then, we would open our Word and share JESUS in the midst of our messy hard places. • What if I don’t clean good enough and someone notices? On and on – I could list a thousand reasons why there wasn’t enough. But there is only one reason to ignore all the other stuff…JESUS! 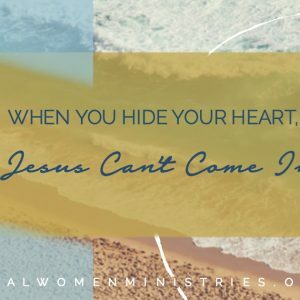 I needed Jesus to show up in my messes and I wanted other women to find Him in the midst of their mess, too. Convinced that our need for Jesus was greater than my need for a perfectly clean house, I finally set a date, invited a few ladies, prayed (a lot!) and let Jesus worry about the outcome. 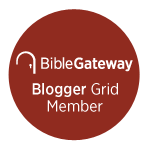 In 1 Kings 17:8-16 we can see where God directed Elijah to a widow woman to provide hospitality to him through food and drink. The widow was willing to oblige with water, but she hesitated when Elijah asked for bread. She didn’t have enough to give. She lacked the ability to fill to the need. Elijah was, in a sense, asking her to trust God when he requested the bread. 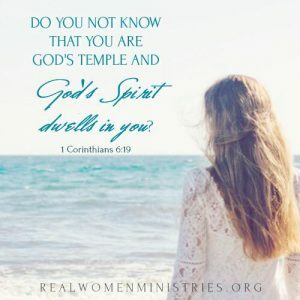 She was obedient to open her heart to the what the Lord asked of her, and in doing so she opened her home and let God use it as a vessel to not only bless Elijah, but also her and her son for ‘many days’. 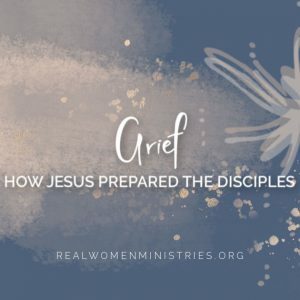 There is a freedom when we take the burden of responsibility for the results off our own shoulders and place it upon Jesus, trusting Him to meet the needs of each person. 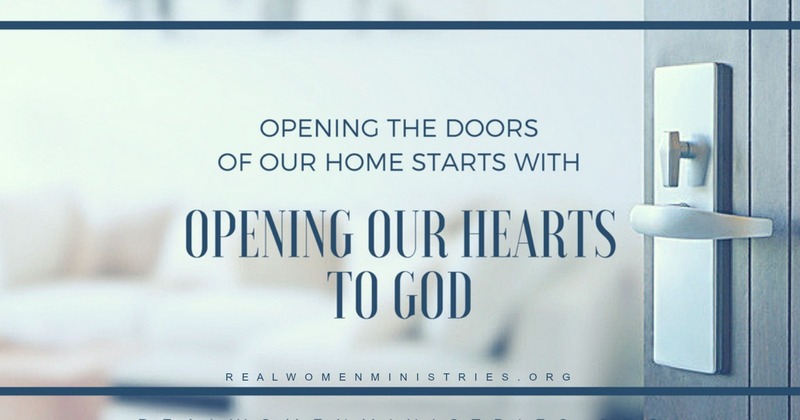 If we, like the widow woman, will allow Him to fill the spaces of doubt and insecurity we feel over our perceived shortcomings of our home, we can throw open wide the doors, invite others in, and simple let Jesus use our home as a vessel to love others. In verse 9, what do you notice about what God says to Elijah about the widow woman? 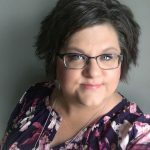 Do you think God knew how much she had before He directed Elijah to her? 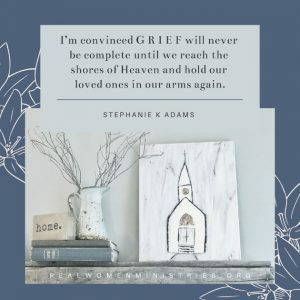 Do you think God wanted to use this as a opportunity for the widow? What are some of the excuses that keep you stuck from inviting others into your home? What is one thing that would help you overcome this?